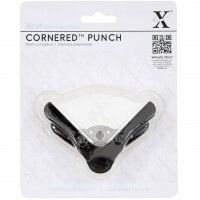 Decorative corner punch ideal for cutting corners on a variety of materials including paper, card and 1mm foam. Two punches in 1! 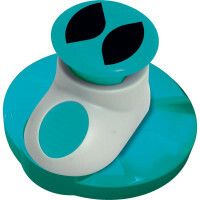 Two different sizes of corner rounder: Ideal for creating round corners on a va..
Quick easy rounded corners Dimensions approximately 3 x 9.5 x 17cm Make: DoCrafts X-cut..
Quick easy rounded corners Dimensions approximately 3 x 9.5 x 17cm From Docrafts X-cut range..